Each and every one of us across the globe is a wonderful and unique piece of the Big Picture. 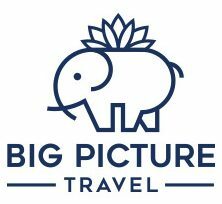 At Big Picture Travel we believe that travel helps us connect with the many pieces of the grand world puzzle we live in. Come with us to explore and experience new things in new ways and connect with those you share this amazing planet with. I am a Travel Designer, event planner and writer specializing in India travel for the western traveler. I am passionate about immersive and sustainable travel and believe travel is the best way to create positive change.